How do you drink espresso? I recall a time when to me, espresso was a mythical drink. It represented something high and mighty about coffee, the paragon of all that coffee drinkers aspire to enjoy. I had no reason to think it wasn’t just a more concentrated form of the bitter black water I was drinking at the time. 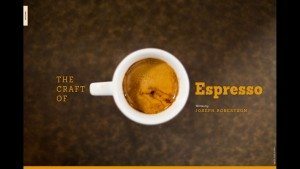 I could barely get by the bitter acridness of the brewed coffee, so it’s no surprise I had some different ideas about espresso. I’ll tell you here and now – regardless of how you want to enjoy your coffee – you do not ‘shoot’ a well made espresso. That’s like slamming an ounce or two of fine scotch. But you end up missing the magic. So, I decided to put together a little explanation of how to drink espresso. When you finally have the opportunity to savor a finely crafted drink, there’s no need to worry about doing it right, or missing out on the experience. Just follow this simple process. First, it’s important to understand that espresso is not simply a concentrated coffee. It’s easy to look at it this way, but the espresso method – by using high pressure and fine grind – results in a drink that is a unique representation of the coffee it comes from. The process pulls out (in the common parlance, ‘extracts’) flavors, oils, and aromas from the coffee in such a way that you can’t truly replicate with any other method. The resulting drink is incredibly complex – and happens to be so in a small quantity. But don’t let the size fool you – there is an incredible depth to be discovered within a well made espresso. Secondly, there are two primary ways in which you will receive a straight up espresso. The barista might extract the espresso directly into the serving cup. Or (seemingly more common these days) into one vessel and then poured into your cup afterwards. This seems at first like a tiny difference – but it is an incredibly important distinction. 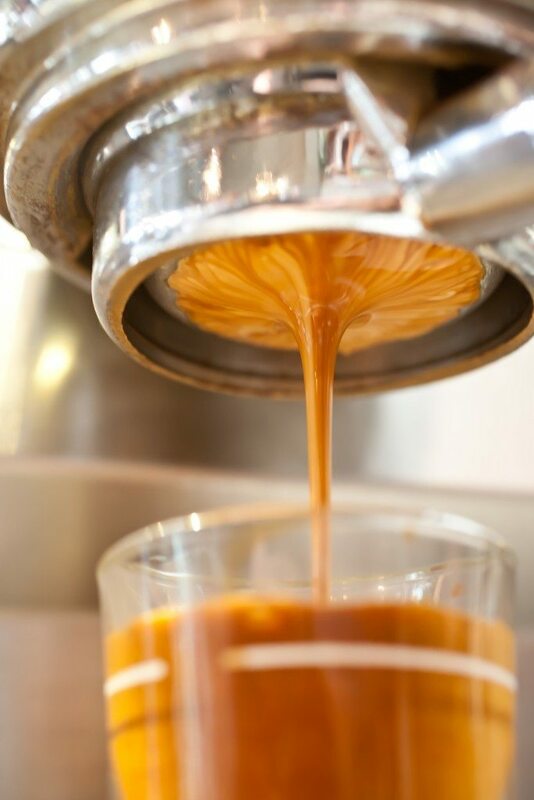 When the espresso extracts over the course of 20-40 seconds, what is actually coming out is not consistent. You can see this if you watch the extraction of an espresso (especially with a naked portafilter). When a shot is pulled directly into the serving vessel, the coffee will layer within the cup – creating distinct differences from the top of the espresso to the bottom. If you stir the espresso, this will all coalesce. That is what happens when the espresso is pulled into a brewing vessel before being poured into the serving cup (the layers are all mixed). And that brings us to the importance of this drinking method. Savor your espresso by drinking it in several smaller sips – broken up with palate cleansing soda water (or just water). I always try to get my first sip in immediately after the espresso is served, before bothering to move from the counter. This is the hottest the coffee is going to be for me, and the most undisturbed after it is handed to me. I like to discover the super bright flavors that often seem to only appear right at the beginning. If I wait even 30 seconds, the coffee might cool enough that I miss out on some of the hidden gems. It might seem nit-picky to thinking about drinking a coffee in such a micro managed fashion, but that matters when your taste experience can change over just 15 seconds. There’s such wonderful magic to be found, that it’s worth taking just a bit extra care in the enjoyment of the drink, to shut out the rest of the world for a minute or two, and dig into something that is one of the finest crafts that we make every day in this world. As an important note, the palate cleansing (soda) water is an important part of this, if you really want to get into the taste of your coffee – especially with espresso. The more you drink, the more that coffee is going to coat your tongue and throat. That will influence the taste you discover, and can prevent you from having that often mind-boggling experience. 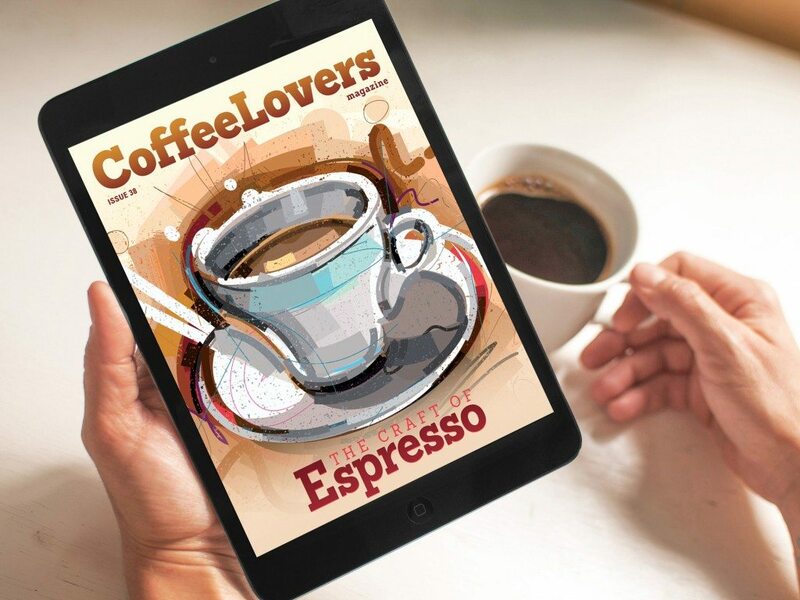 This is really Awesome, informative post for coffee lovers and specially for espresso coffee lovers. thanks!!! !